Two leading U.S. travel writers said Turkey was among their top holiday destinations, Turkey’s state-run news agency Anadolu Agency (AA) said. 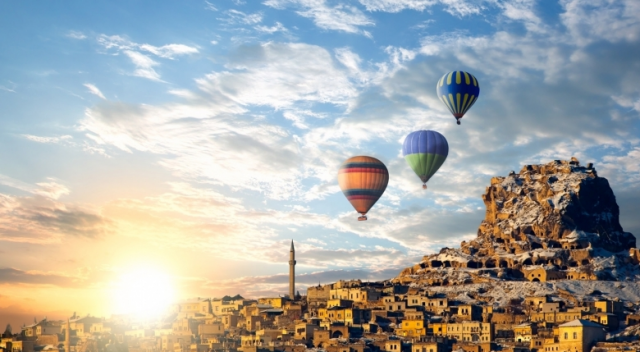 Alyssa Ramos, who runs the travel guide website “mylifesamovie.com” told AA during the Travel and Adventure Show 2018 in Washington D.C., that a hot air balloon tour at the historic Cappadocia region in central Anatolia is one of her favourite things to do. Patricia Schultz, who wrote the book “1,000 Places to See Before You Die”, said she lists Istanbul as a must-see place. “For the U.S. citizens, who has 300 years of history, Istanbul has an unimaginable history,” Schultz was quoted by AA as saying.